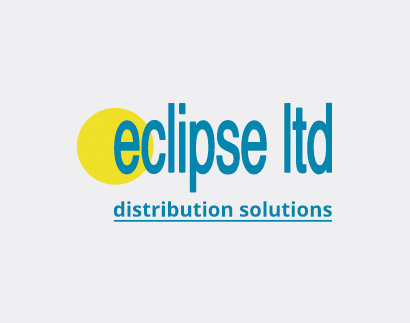 Eclipse Distribution Solutions Ltd supply comprehensive solutions that are as individual as your business – whatever its size or complexity. We are a well established Loughborough based logistics company offering local and national coverage, catering for all of your distribution needs. In 1989 we started as a small parcel franchisee offering next day and premium deliveries within a national network. In 1995 we expanded into the same day market and built up our own fleet of fully liveried vehicles, ranging from sprinter vans to 18T lorries, in the present day, we were now able to offer a much wider range of services for the satisfaction of our highly valued customers. Over the next six years, we worked hard to become a well-established distribution company with parcel, pallet and same day and next day delivery options available. 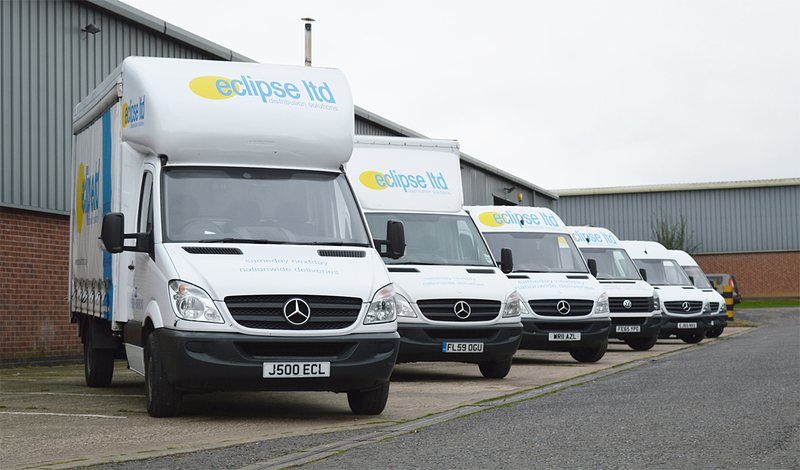 We have a dedicated team and a fleet of over 50 liveried vehicles. In 2001 we moved to Wymeswold Industrial Park, which gave us better access to Loughborough and Nottingham for collections and an easy route to trunk roads and motorways. We also provide our services to the Leicester and Melton Mowbray areas, catering for all of your distribution needs. Our courier services in Loughborough, the East Midlands and further afield, have been trusted for many years, and our informative track and trace service is sure to provide you with the peace of mind you need when you are transporting goods. Head over to our gallery to view the range of vehicles we have available, or for more information on our pallet sizes, visit our FAQ’s page. 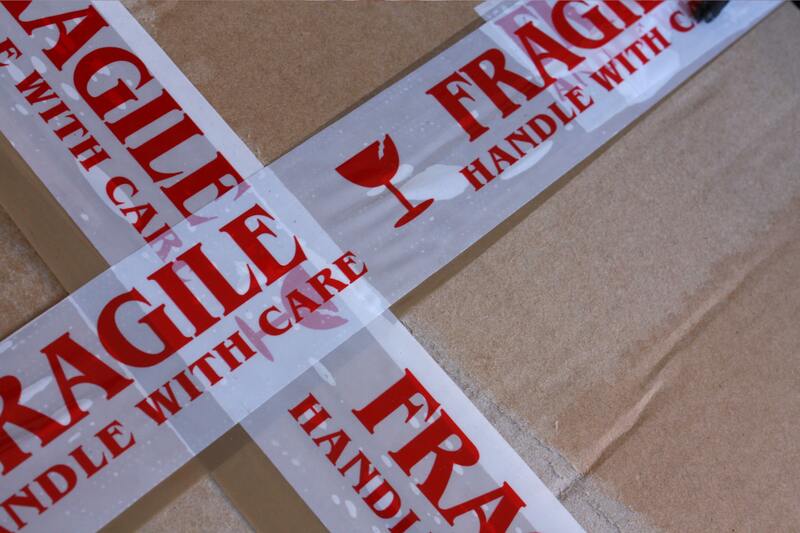 As a professional distribution company, we like to ensure an efficient service for all of our customers, so if you require a quick quote or more information on a particular delivery service we offer, contact our team today on 01509 889 010. 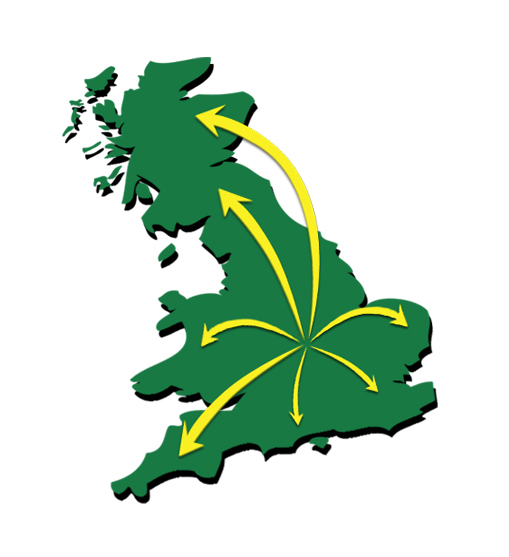 We are able to deliver and collect parcels anywhere in the UK. From small parcels to full or part loads, our fleet of vehicles offer delivery solutions to suit all of your logistics needs. We currently don't have any case studies available but please have a look at our testimonials.